Tommy Croft was at his best in the 500 class. Tommy won two 500 Nationals (Sears Point in 1978 and St. Pete in 1977). 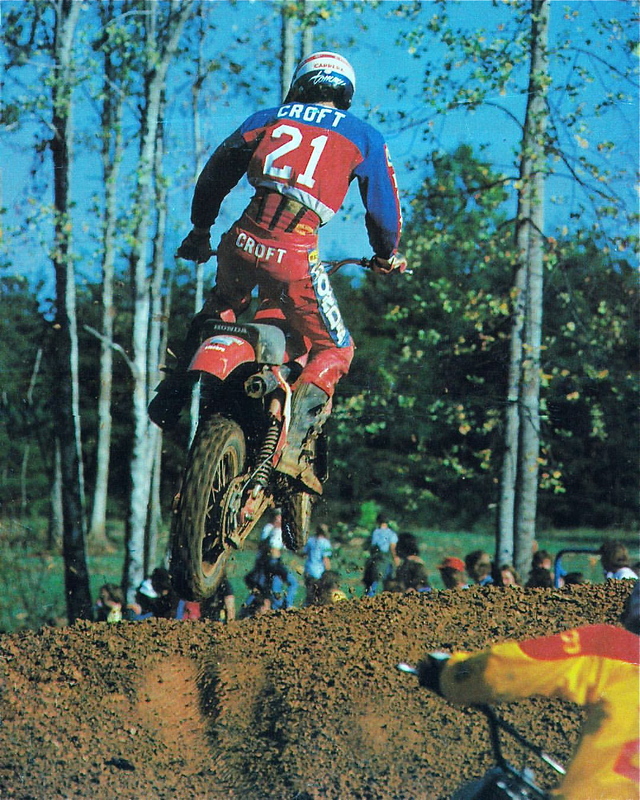 He made the top ten in AMA points 7 times, scored 23 top five finishes and had two wins. Both of his 500 Nationals wins came with buddy Marty Smith finishing right behind him. Tommy raced for Team Honda in 1975, 1976, 1977 and 1978. He then moved to Kawasaki, where he finished out his career with a third in the Supercross series before turning to offroad trucks.